The Statistics Schedule Monthly view shows at a glance various statistics about the monthly schedule and each helper. This view can be filtered by Position and Category to give specific statistics for particular Jobs or Locations and you can turn on and off the various statistics columns using the Change Layout link and also set to list helpers with no shifts. 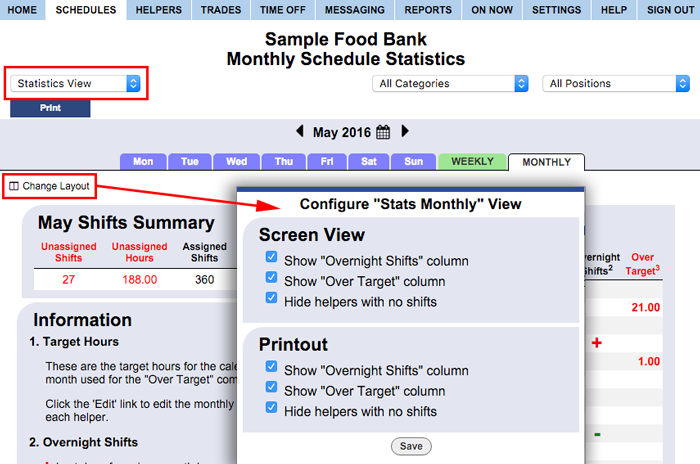 This view allows you to quickly see if anyone is scheduled over their set target hours per month. 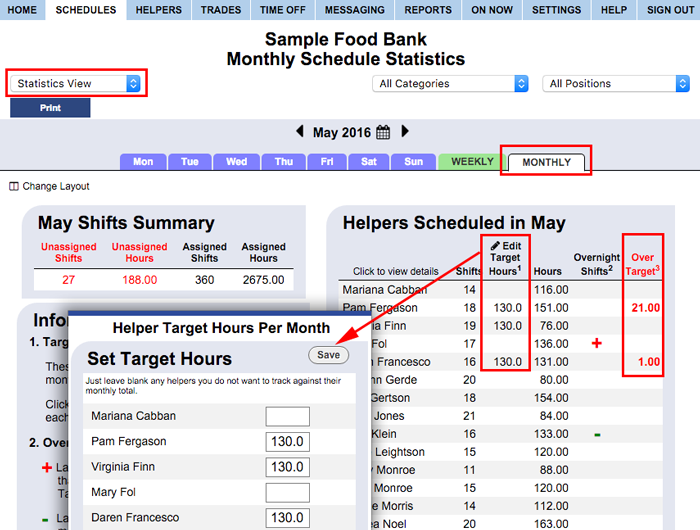 Those target hours can be set for any helper using the Target Edit button. This can be useful if you need to have certain part time helpers only scheduled under a certain target number of hours per month.